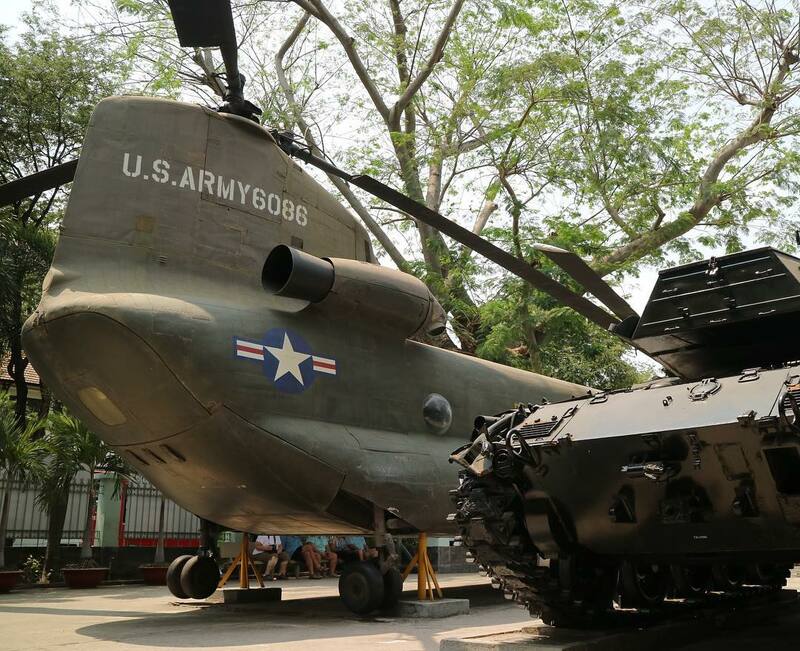 War Remnants Museum in Ho Chi Minh city documents all the appalling legacy of the US-Vietnam war. The museum featured American atrocities, highlighting the horrors of war. Graphic and confronting as it can be, the museum provides visitors with the truest picture of the pain war victims have to suffer until today. 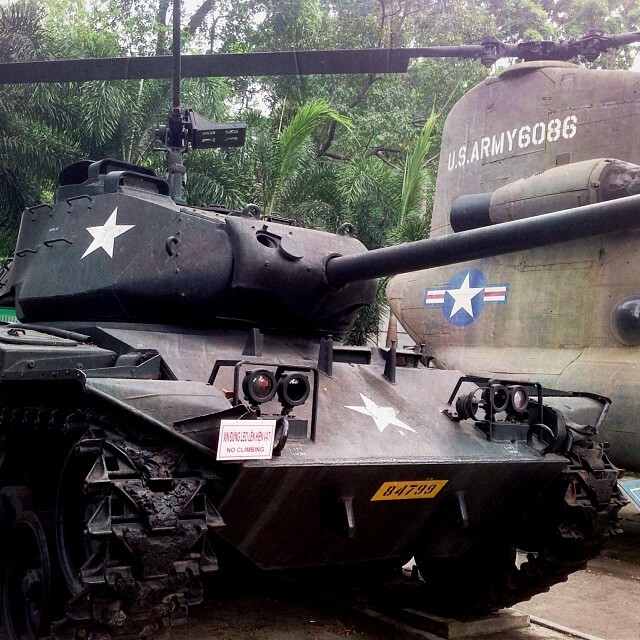 War Remnants Museum of Vietnam is one of the best destinations suggested by the Star newspaper of Malaysia. Of all the things to do in Ho Chi Minh city, visiting War Remnants Museum will offer you an in-depth insight into Vietnamese history. Looking for a local insider who can quench your thirst for exploring Vietnamese history to the fullest? Why don’t you embark on a history quest with Inspitrip? The site of War Remnants Museum in the Nguyen Dynasty was the location of Khai Tuong Pagoda, a temple built by King Gia Long to mark the birthplace of Prince Nguyen Phuc Dam (later named Minh Mang). In the French colonial period, in 1880, the colonial government destroyed the temple. Its statue is kept and later transferred to the Blanchard de la Brosse (Musée Blanchard de la Brosse). The old temple was flattened to build a villa with the new address 28 Testard Street. In the 1930s, it was a law office. And in 1940, Dr. Henriette Bui rented the villa to run an obstetric and gynecological hospital here. The French government requisitioned the villa and later transferred it to the Saigon University as the headquarters for the Saigon Medical University in 1947. Prior to 30/4/1975, this was the place of electronic maintenance of US military for 4 agencies: US Embassy, US Military Command, the Presidential Palace and the Prime Minister’s Office of Saigon. The War Remnants Museum was established in September 1975 with the original name of Exhibition House for the US and Puppet Crimes, later renamed the Exhibition House for Crimes of War and Aggression (November 1990) prior to today’s name. Being a part of the Global Peace Museum and a member of the World Museums Council (ICOM), the War Remnants Museum has the function of studying, collecting, storing, preserving and displaying material, images, and exhibits on the evidence of crimes and the consequences of wars that the forces aggression has caused to Vietnam. The museum covers 5,400 square meters, in which the exhibition area is 4,522 square meters. It includes many buildings that store military equipment, photographs from the effects of Agent Orange, Napalm and Phosphorus. 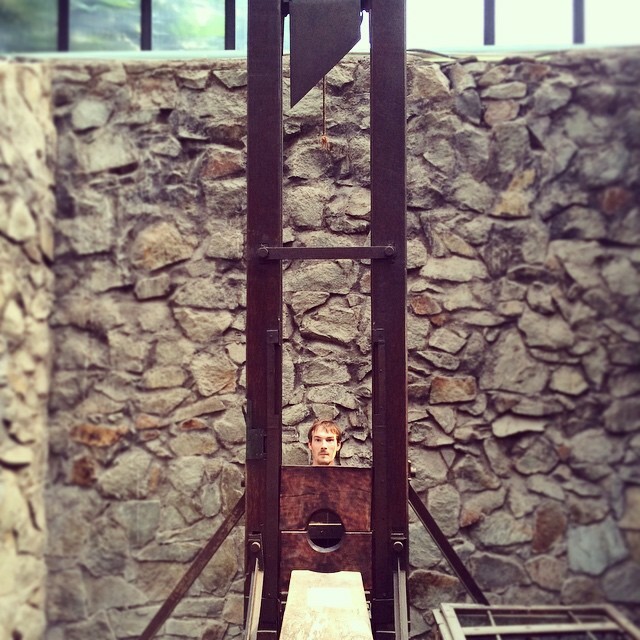 There are also pictures of the My Lai massacre and the guillotine used by the South Vietnamese government. There are also images of deformed human traits that show the haunting effect of war on the next generation… The museum not only illustrates a period of painful history but also tells unknown stories of war for the people, especially for Westerners. On the first floor of the museum is the Ticket Office, Multi-Purpose Room, and The World Supports Vietnam in its Resistance Room. One of the most prominent stops on the first floor is the “Tiger Cage” – a kind of detention of the Con Dao prison. The “tiger cage” is one of the deadliest forms of torture used by of US troops against Vietnamese prisoners. Here, the revolutionary communists were detained in cellars only about 5 square meters, without beds, or large windows. Not only that, but the “Tiger cage” was also the place where the torture was extremely painful and intended to break the will of the patriotic people. The cages are 2,7 meters in length, 1,5 meters in width, 3 meters in height. In the hot season, prisoners will be tied between 5 and 14 people. In the cold season, they are bound as one or two with leg-cuffs. All personal activities such as eating, bathing, urinating are on the same scale. The first floor also houses large artifacts such as airplanes, tanks, or artillery fire by US soldiers or soldiers during wartime. You will have the opportunity to witness the war that only appears in the storybooks. 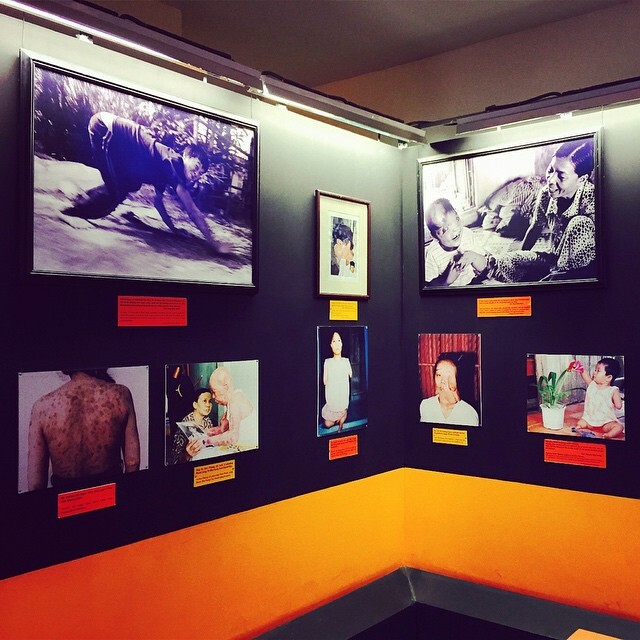 The two ground floors of the museum are the world of images, the historical landmark that remembers a period of bloody history with such fascinating topics as the World with the War in Vietnam or the story of Agent Orange victims. There are many Americans who come here, witnessing the barbarism that their people have done to Vietnamese people to ponder and recognize the crimes of war. The 2nd floor consists of 5 galleries and 5 themes: Historical Facts, Agent Orange in War, White Pigeon, Vietnam – War and Peace, Remembrance. Outside the museum there are a number of booths on display, cultural products, and even a water puppet show. The museum holds more than 20,000 objects such as tanks, airplanes, guillotines, cannons, documents, and movies. The most impressive of which is the photo collection “Vietnam – War and Peace” that includes more than 250 images of the effects of war on Vietnamese soldiers and civilians by Japanese photographer Ishikawa Bunyo during his stay in Vietnam until the end of the war. 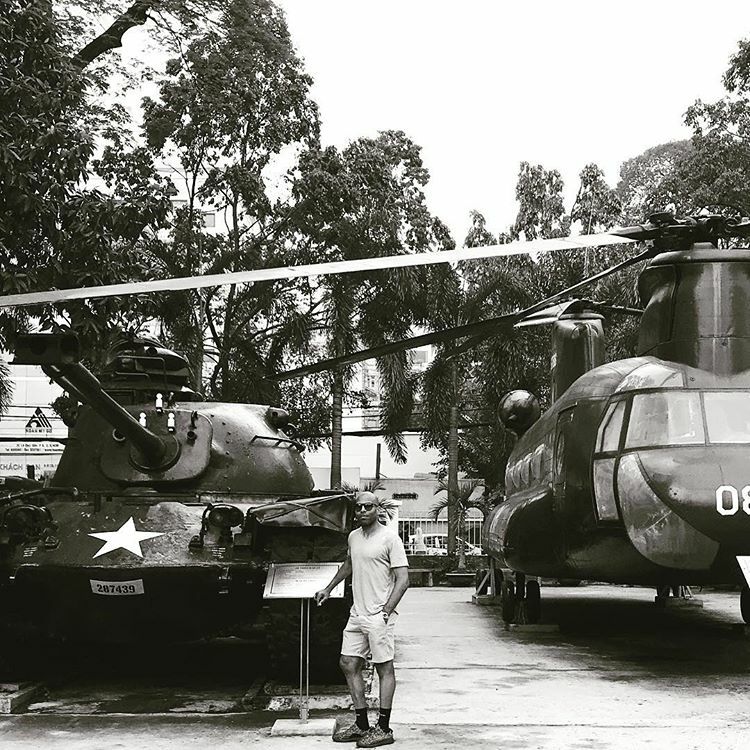 Outside the building is a range of American military hardware that had been captured or abandoned, much of it handed over to the South Vietnamese regime. In addition to the on-site exhibition with many unique themes, the museum regularly organizes traveling exhibitions. To disseminate the consequences of the aggressive war and the aspirations of peace of the Vietnamese people, the museum executives try to reach as many localities and countries as possible. Vietnam not only has many beautiful natural destinations or interesting cultural places but also has many historical monuments. This painful but heroic demonstration will offer travelers the journey back to the past. 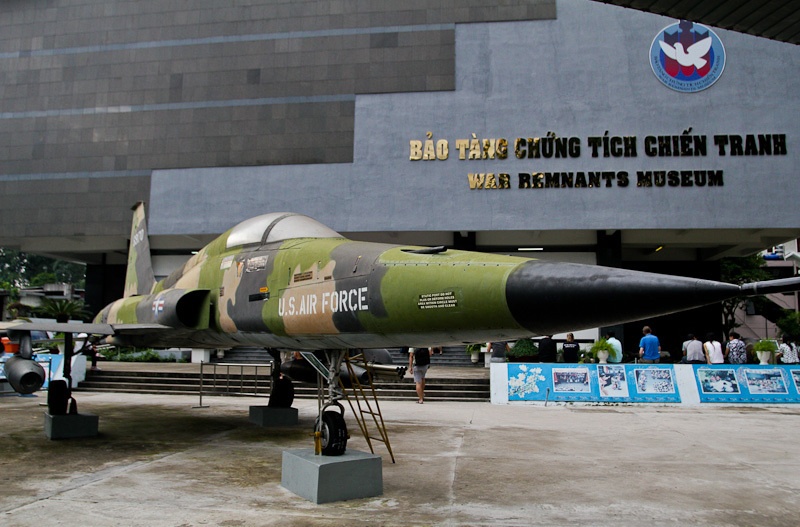 The War Remnants Museum is on the corner of Vo Van Tan Street and Le Quy Don Street, near the city center and other Saigon attractions. It takes about 5 minutes from the Independence Palace and about 10 minutes from Notre Dame Cathedral or the Saigon Central Post Office. Thus, it is very convenient for visitors wanting to experience a short but full city tour with famous destinations. You will walk through the most iconic and historical places with an Inspitrip local guide. The more we understand Vietnam from the Vietnamese perspective, the more untold interesting stories we find.